The first piece arose from my discovery that he had, in December 2003, signed an agreement with UNDP for a project that provided 20 million rupees for the LTTE Peace Secretariat. In theory there was also 20 million rupees for the Government Peace Secretariat, but this was largely for work by NGOs, and the Committee that disbursed funding had hardly any government representation. Interestingly enough, an employee of CPA, of which too Bradman was a founder director, found a job with UNDP and seems to have overseen the Project, before moving on to even higher things in New York. I suspect that while there too, he probably propagates the same sentiments that won him such favour with Bradman earlier in his career. At the time I asked several questions from UNDP about the Project, to none of which practically did I receive satisfactory answers. I felt bad however about pushing this with Neil Buhne, who had not been long in the country, and who clearly could not be blamed for the falsehoods in Project reports, the failure to follow up on various commitments made in the document (for instance, regional and district Peace Secretariats in LTTE controlled territory, for which indeed our Peace Secretariat seems to have helped to provide vehicles), the abandonment of the planned review processes. I should note that my predecessor as Secretary General of SCOPP also expressed doubts about the efficacy of some of the Projects planned, but he seems to have been left out of the loop, and instead the UNDP of those bad old days continued with its Civil Society Steering Committee to express complacence with the outputs of agencies it obviously considered more influential partners than SCOPP. So the project document refers twice to the ‘Peace Confidence Index’, a survey conducted by the Centre for Policy Alternatives, and celebrates the ‘information dissemination campaigns on the peace process’ being conducted by agencies such as the Centre for Policy Alternatives, the National Peace Council, the Consortium for Humanitarian Agencies and other grassroots organizations like Sarvodaya. With regard to the LTTE, clearly there was no conflict of interests, or even of control, between bodies under the political control of the LTTE and what were meant to be Civil Society Organizations. In any case there was much less diffidence about giving money direct to the LTTE, and its Peace Secretariat benefited from lots of sophisticated new equipment. This was subsequently used quite openly for warmongering, and I was sorry that Neil Buhne did not feel confident enough to call them up and protest when suicide cadres were celebrated on the LTTE Peace Secretariat website. Incidentally, one reason I have much regard for the current Norwegian Ambassador, Tore Hattrem, and believe he should not be seen as similar in inclination to Eric Solheim (though of course he cannot ignore the man, given his exalted status in the Norwegian government), is that Tore did call the LTTE and object to the use made of the website, which the Norwegians also had assisted. Tore also got into hot water with the LTTE about a year ago, when the Norwegians suggested the LTTE should surrender, at a time when David Miliband adopted a more sympathetic approach to them and dodged BBC questioning on this issue, even though even the EU had by then advocated surrender. One of the strategies adopted by Bradman’s boys was to accuse anyone who did not share their mindset of unspeakable behaviour. Thus the electronic journal ‘Groundviews’, which claimed to be supported by the official Canadian and Australian aid agencies (the Australians denied this when I asked, which led to the website changing its claim to refer only to funds for set up), exulted in referring to the ‘President and his coterie of murderous brutes’; and even my old friend Prof Uyangoda referred to SCOPP as a ‘War Secretariat’, though I should note that he was generous enough to grant that the ‘bearded as well as suit-clad defenders of the regime…can speak fairly good combative English’ (I presume the characteristically oblique description was due to his innate kindness coming through in not actually naming Dayan Jayatilleka or myself). ‘Groundviews’ I knew was a by-blow of CPA, so I was not surprised at its tenor, though I should note that more recently it has twice asked me to write for it. Though I felt obliged to refuse I think it is trying to be less partisan, and perhaps remove itself from the influence of the Spider King and his immediate progeny. 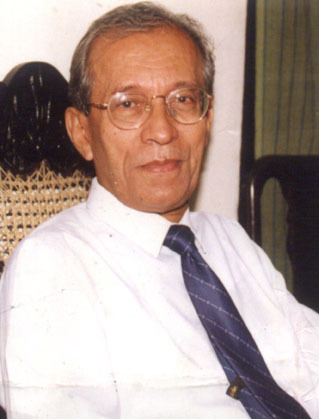 Uyangoda’s outburst however surprised me – until I discovered that his own pet agency, the Social Scientists Association, had also benefited in 2004 from the Project Bradman had set up for the Peace Secretariats the previous year. Prof Uyangoda, I know, would not have benefited personally from any such funding. However, if one is engaged in research, and especially if one works through institutions, funding is necessary, and unfortunately funding in Sri Lanka has been provided largely through the same networks, dealing with similar sources. Bradman, having worked earlier for a government that kept a tight control on such funding (one remembers Lalith Athulathmudali calling up for the Marga Articles of Association and in effect stopping its series of political seminars), realized in the nineties the way the world was moving. Civil Society was going to be the new instrument of social and political leverage for the future, and sure enough he jumped on the bandwagon, and helped to create more instruments of his and what he termed the international community’s will.